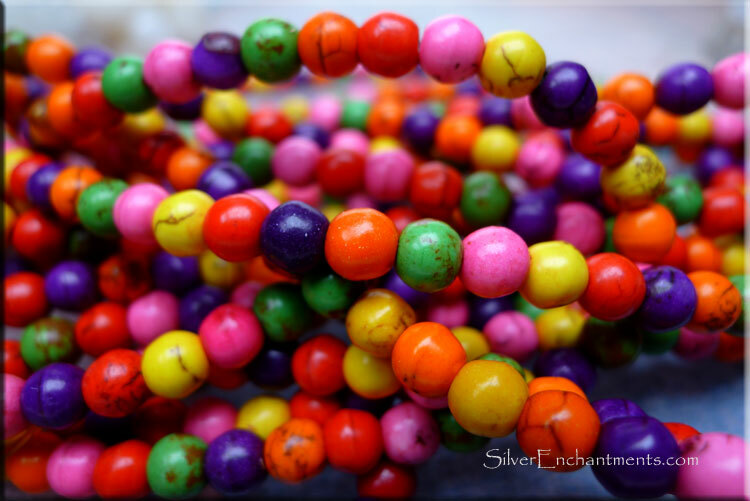 CLEARANCE A full strand of round synthetic turquoise beads in multiple colors. The beads measure about 6mm. 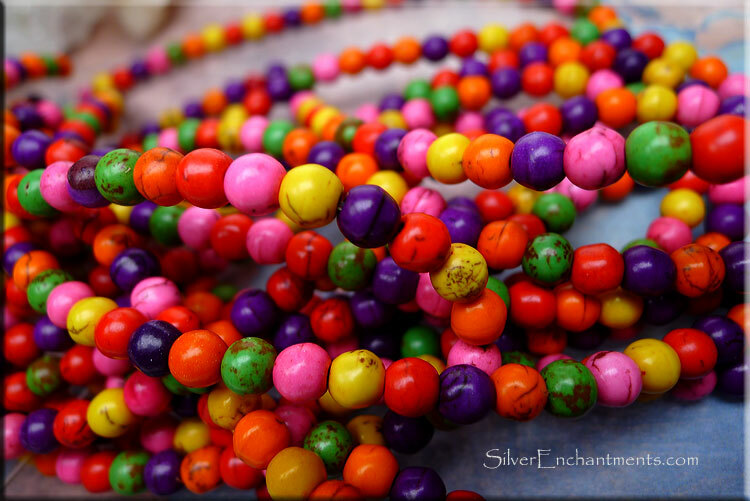 There are around 70 beads on the approximately 15.5" strand.